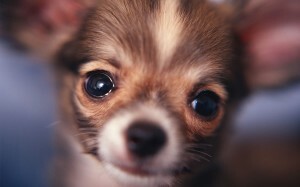 Although quite endearing and expressive, Chihuahua Puppies care is a little more intensive than the raising of a large breed pup like a Great Dane or an American Bulldog. A normal puppy raising process involves activities such as vaccinations, socializations, and potty training. 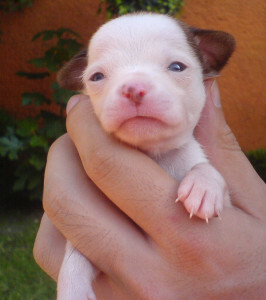 However, Chihuahua Puppies care guide is individualistic and owing to their tiny size during the puppy stage of life that tends to make them fragile. Below are some of the Chihuahua Puppy care tips that every Chihuahua owner should be well versed with to ensure the Chihuahua Puppy lives a long and healthy life. Eliminating dangers in a home that are caused by naked electric wires, cords or outlets should be the first care tip on every dog owner’s Chihuahua Puppies care sheet. One should look for things such as cords and wires that a Chihuahua puppy might want to play with and which are within his/her reach and safely store them away. Electric outlets that are exposed should be covered with plastic outlet guards to ensure that the puppy does not accidentally lick them and get shocked. After a period of say 7 to 12 months of age, a Chihuahua puppy is really smart and will obey and understand most of the basic commands given to it. According to Chihuahua care information provided by vets, training starts with obedience training and housebreaking. Sniffing the ground and circling are some of the common signs a Chihuahua dog owner should observe in order to take the puppy to its potty. It is very important to include lots of praise, treats and reinforcements to reward the puppies during the training process. 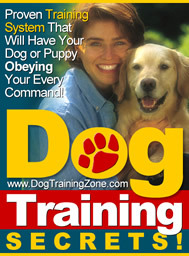 In Chihuahua Puppies care housebreaking training, a dog owner needs to be patient taken that the puppies have a small bladder and will need to be taken to the potty frequently. 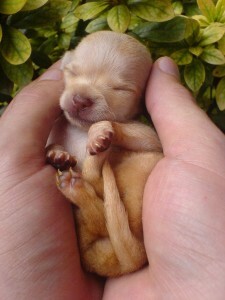 Correct feeding methods are considered a very important aspect of Chihuahua puppies care. This is because Chihuahuas are known to have higher metabolisms than other dog breeds and as such should be fed on premium dog foods only. The young puppies also need to be fed on dry food several times a day in bid to prevent occurrences of hypoglycemia (a case of low blood sugar). Additionally, a dog owner ought to be careful during the feeding process as overfeeding contributes to obesity which creates potential health issues which in turn shortens the Chihuahua puppy’s lifespan. An yearly appointment with the local veterinarian for Chihuahua Puppies checkup is recommended. During such appointments, a vet will give the puppies vaccinations against diseases and additionally prescribe flea and heartworm medications critical for proper overall health. Vaccinations and booster shots helps in maintaining the Chihuahua Puppies’ immunity against diseases. In an effort to keep the Chihuahua Puppies healthy, happy and obesity-free, plenty of exercises daily should be considered a must in every dog owner’s Chihuahua Puppies care sheet. In addition to indoor exercises, a daily walk once a day is a good idea. 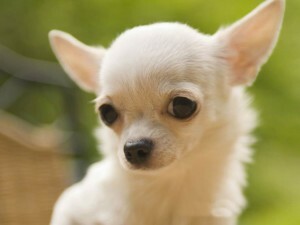 However, Chihuahua Puppies have fragile necks and as such a body harness should be used in place of a collar. Further, they should be dressed for short walks due to the fact that they are susceptible to heat stroke owing to their short muzzles. Additional Chihuahua Puppies Care ideas includes proper grooming which can be outsourced to a professional especially for Chihuahua dog owners who are new to that field and given the fragile nature of some processes such as nail trimming. 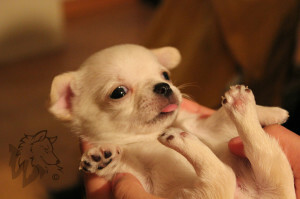 This is some really good information about chihuahua puppies. I have been thinking about getting one soon. I liked that you pointed out that getting vaccines are really important for them. I didn’t realize that I will need to talk to a vet about the different ones that they will need.